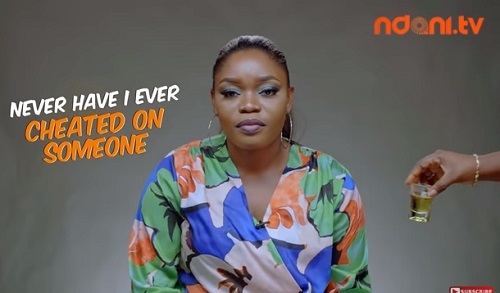 Reality television star, Bisola, has opened up on how her fellow TV show housemate, sucked out her soul during a kissing competition as well as her celebrity crush. 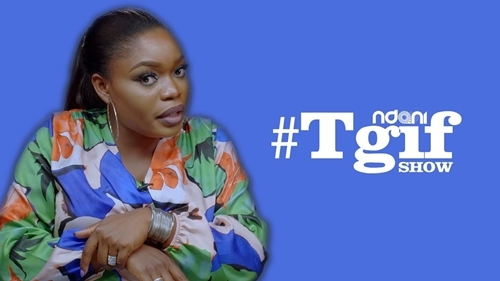 While speaking during her session on Ndani TV’s TGIF show, 2017 Big Brother Naija housemate, Bisola Aiyeola, unknowingly threw major shade at fellow housemate, Kemen. The reality television star and actress during the interview, made reference to Kemen’s lips, saying during a kissing game on the TV show, he was sucking the life out of her. Speaking further, the mother-of-one was asked the most embarrassing thing she has seen about herself on social media and she talked about the kiss with ex-BBNaija housemate, Kemen. She also said that her celebrity crush used to be Don Jazzy, but now she has shifted to UK-based singer, Maleek Berry.